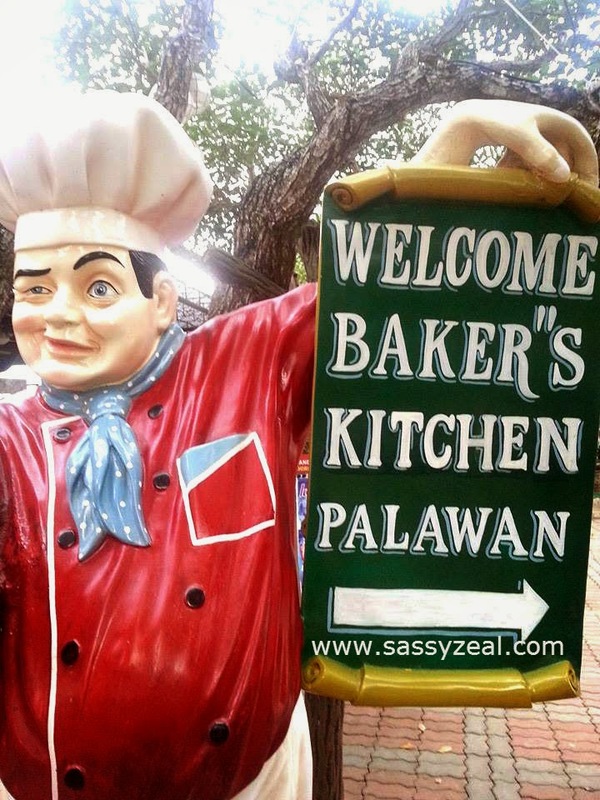 One of the most well-known tourist spot in the City proper of Puerto Princesa, Palawan is the Baker’s Hill. You will be amazed not only of its beauty but the story behind this stunning village. “The generous Place” is the perfect appellation for this place in my opinion. Why? Because this is place is owned by a generous asset owner who choose to share his beautiful property to the public. 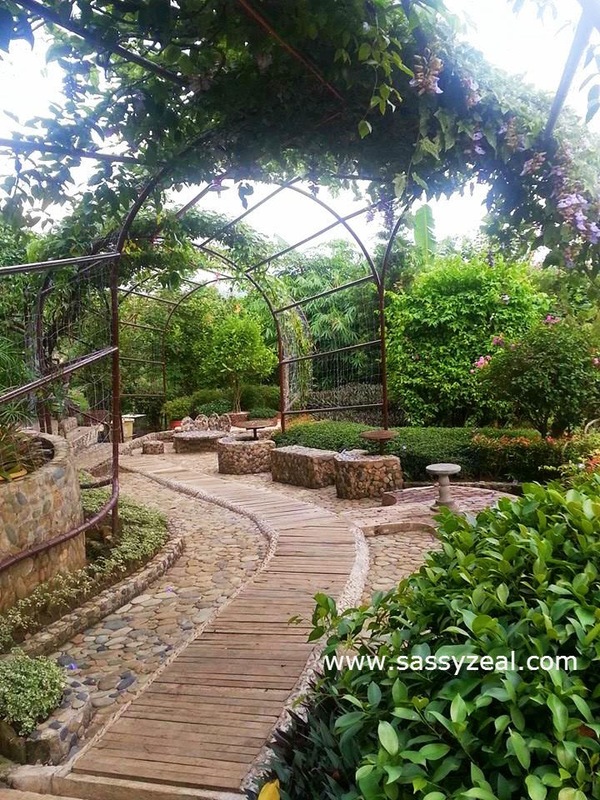 It is a private property with a Bakery that sooner became a public theme park for FREE! Yes, it is FREE of entrance. 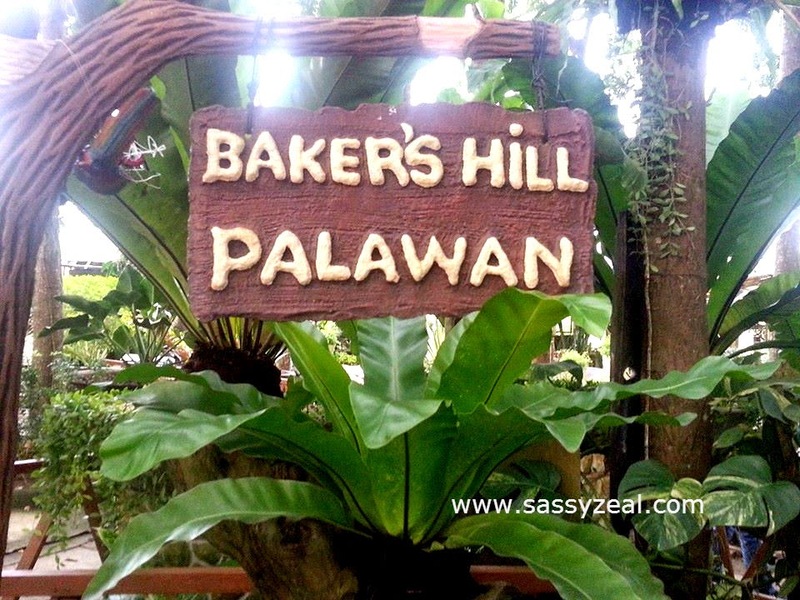 It is called Baker’s Hill because they established a Bakery on top of a hill. 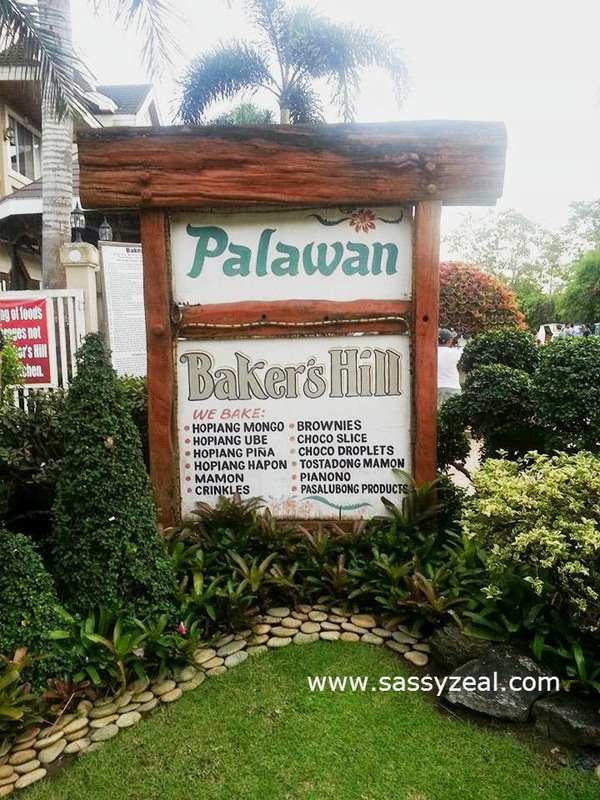 Baker’s Hill sells their famous Hopia with different flavors and many other specialized pastries and baked goods like brownies, toasted bread and crinkles. Baker's Hill is located in St. Monica. The main road along Baker's Hill is what they call "Millionaires Road" as most of the houses here are mostly worth millions. 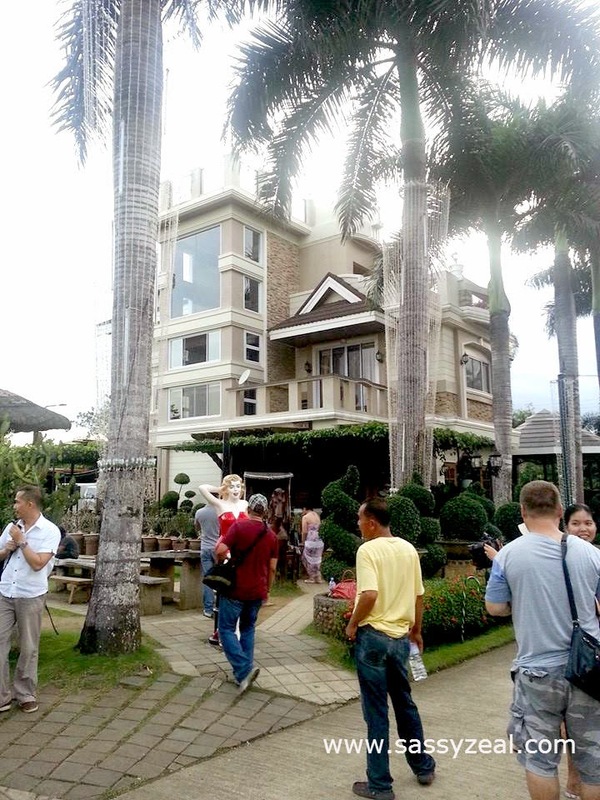 There are big houses which seems to be owned by millionaires. This multistory modern house and this bakery banner will welcome you at the entrance of Baker’s Hill. There is an ample space to roam around even there are a lot of tourists at a time. 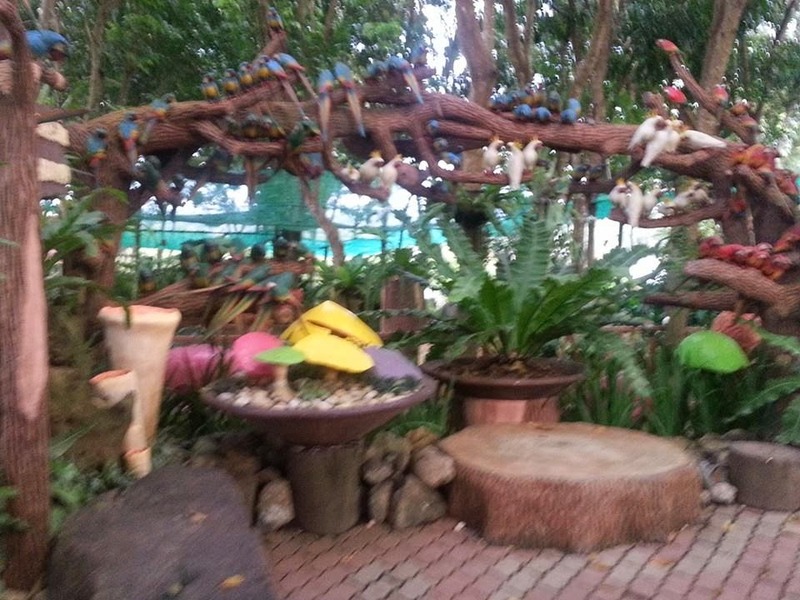 Life size cartoon character statues and animals are scattered all around. 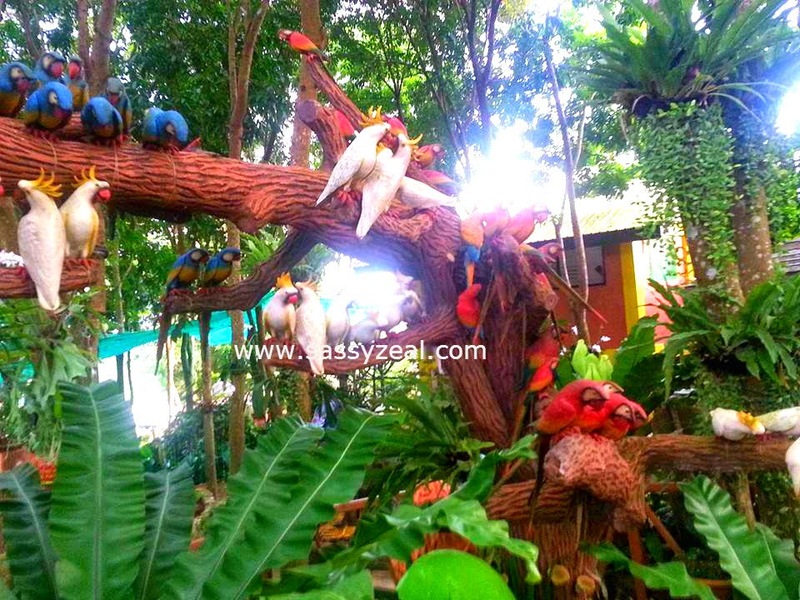 Each area has its own theme like Aviary, Cacti Garden, Restaurant Area, Hanging plants Arch, Kids Area, Playground, Disney and more. The breezy surrounding makes a guest feel more relax after a weary travel. The majestic view of this village overall is totally amazing! Imagine that it just all started as a Bakery. Would you also think that the Baker is also an artist at heart? I think so. Baker’s Hill is the baker’s artistic Heaven - A wonderland in a hill. Kids and kids at heart will love this, I promise and the perfect place to get your “pasalubong” (take home goodies) as well. This is one of the corners of Baker's Hill. 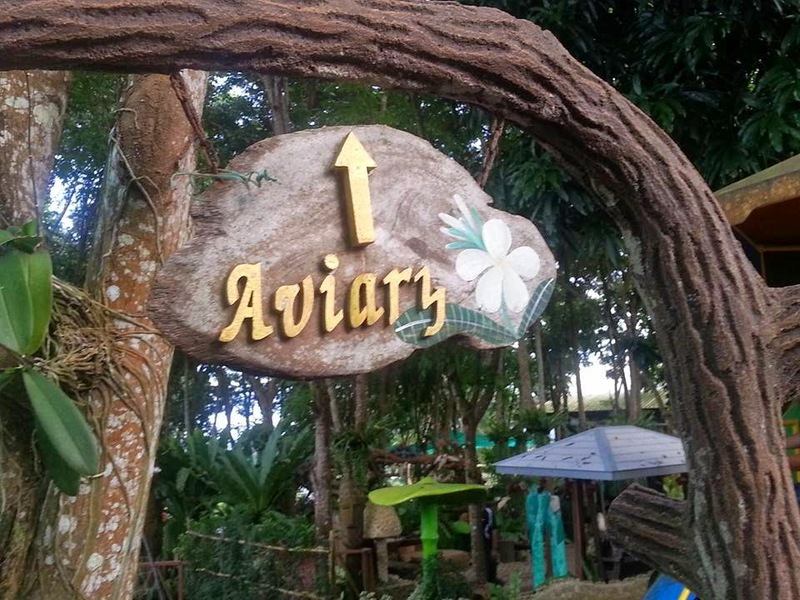 The Aviary. 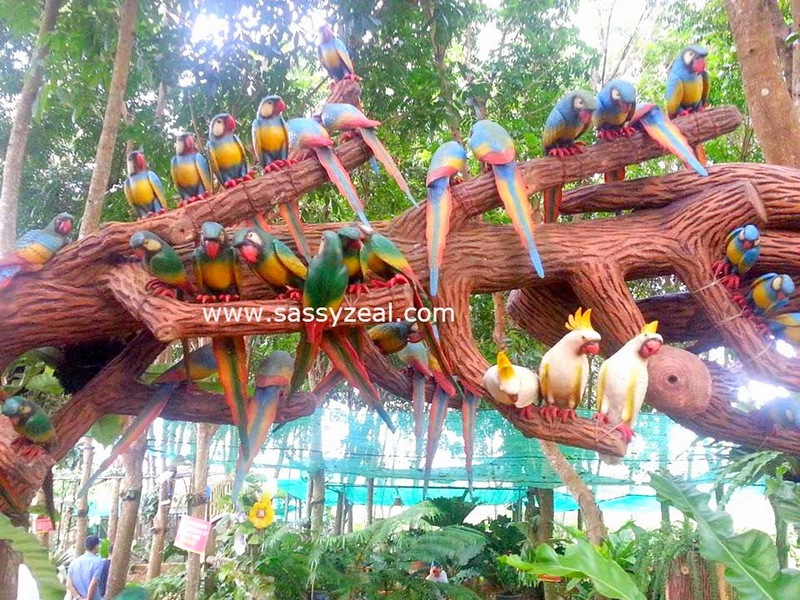 You can see different kinds of real and prototype birds here where kids will truly enjoy. The first time I went there. I was really so amazed of how it has been decorated with different themes. There are also cottages and bench scattered around. So whenever you get tired of roaming around, you can find your resting place here. What was really enjoying? the picture taking time! 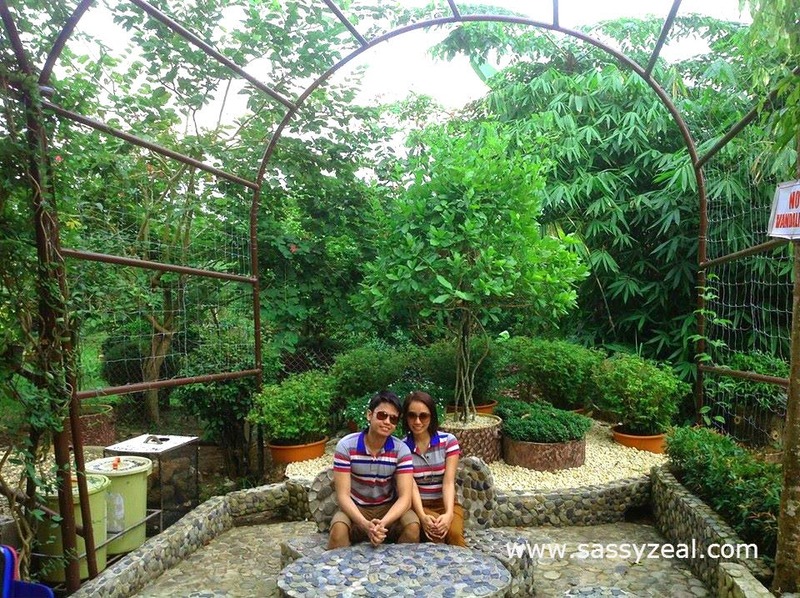 I think, most of the photos captured for our entire tour in Palawan were more on this site. 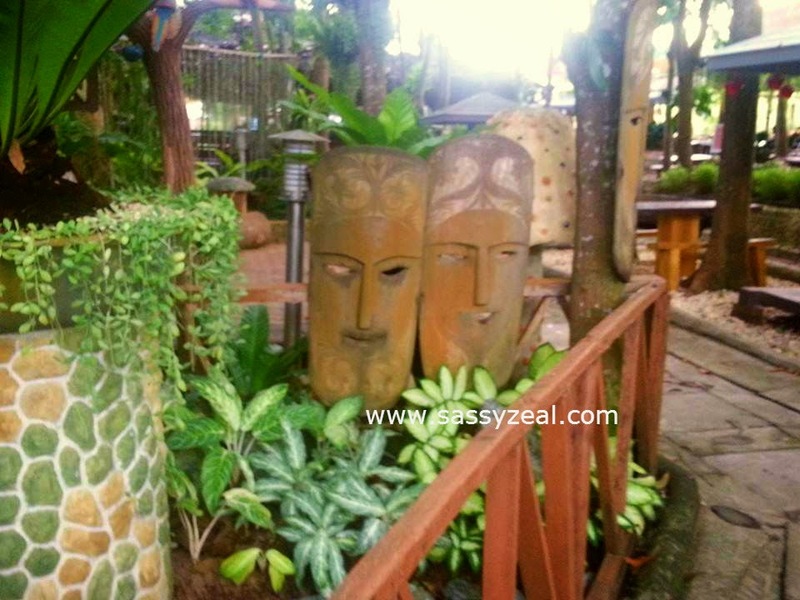 See this wooden face mascara sculpture? Is it familiar? Looks like I already saw it in Crash Bandicot game in psp way back years ago. Cool! How about this Anaconda? 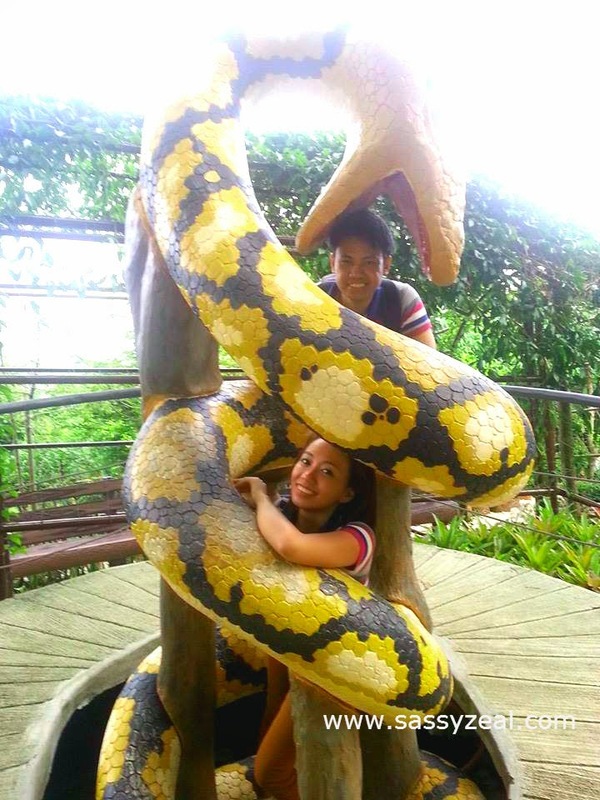 A monstrous snake over rated in films but a source of fun in Baker's Hill. Look! Its mouth really fits on his head. How to get to Baker's Hill? 1. Rent a Van If you get a van to roam you around the City. Don’t forget to drop in Mitra’s Ranch. Getting a Rent –a van? Check this post for more information. 2 2. Get a Tricycle This will cost you lesser. Just ask the driver to bring you to Mitra’s Ranch. 3 3. Ride a Jeep From Rizal St. ride a jeep going to Irawan and ask the driver to drop you off at the intersection road going to Baker’s and Mitra. Then, you can now get tricycle to bring you to Baker's Hill.